Shaving mug with full black wrap and gilt bands at top and bottom. Personalized for “W.M. 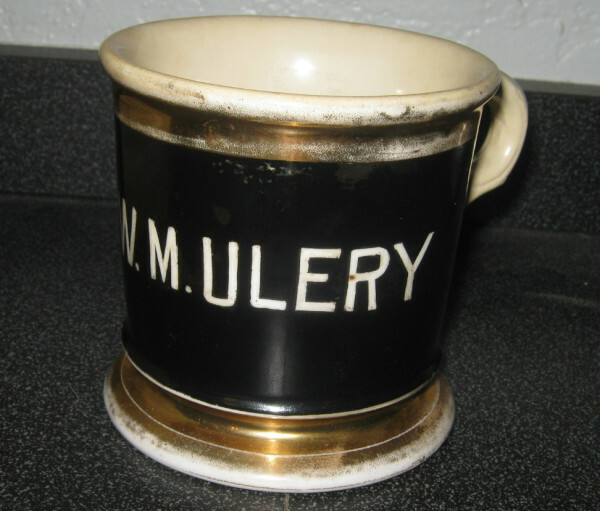 Ulery” in white block lettering.